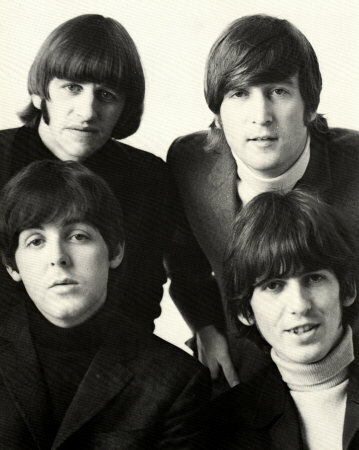 Funny how time flies when you’re writing a Beatles review blog! I had completely forgotten about buying the ebook – Julia – The Story Of Julia Lennon by Kevin Roach. In fact, I bought it two days after it was released on November 12, 2014. Two years is too long for this book to have gone unread and I needed something to read for this week’s review. So, needless to say, this book can be read in a couple hours time. In fact, it’s just the facts. Author Kevin Roach who is from Liverpool, did his homework and found every shred of paper that shows the who, what, when and where’s of Julia Stanley Lennon and the rest of the Stanley family. Kevin Roach has written several other books that all seem to be out of print, except for a couple issues of a magazine from 2014. You can check out the rest of his works on his Amazon page. “Funny,” (as you began)… I had put off a Julia experience of my own. Making haste now to give attention to things I’d postponed, last night I watched the film Nowhere Boy. I had only ever heard good things about it. I actually deferred the experience thinking it might be too good, and it was. Even already knowing the particulars of the story of John’s upbringing, I was pulled down into that undertow of his pain. I felt completely immersed in it. The film was perfectly conceived. The acting, superlative. And the background score (apart from the legit songs of the era) was powerfully integral to creating the atmosphere. I would give this film (if any have not yet seen it) “4 out of 4 Beetles” and an ocean of tears. Interesting…because “Nowhere Boy” is one of the most popular search terms used to get to my blog. I reviewed it after seeing it in a local theater. Oh, I’m glad I got to read your film review! (I wondered if there was one out there….) Those inaccurate details did not faze me in the least!! Nor the physical discrepancies. ALL was in the service of the story-telling. The actors didn’t need to be ‘anatomically correct’ (tee hee) with respect to each other’s relative size, or the particular character’s genetic traits. The acting was the thing. Maybe there’s a difference, watching in a theater among an audience, and watching in the solitude of one’s room…. I certainly don’t disparage your reaction. But mine was quite more emphatically admiring of Nowhere Boy. Maybe if there’s anyone left who put off seeing it, this little conversation might just push them to ‘go there’.